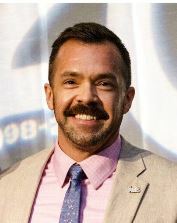 Joe Woolley, a 2006 journalism graduate from Belmont, was recently named as the Nashville LGBT Chamber of Commerce’s Chief Executive Officer. After working in media for years in New York City after graduating from Belmont, Woolley returned to Nashville where he has worked in communications and marketing since. He has a long history with LGBT and political advocacy in Nashville as he was one of the founders of the Tennessee Equality Project in 2004 and has been active in raising funds for out political candidates through the Victory Fund. A Chamber veteran, Woolley has served on the Board of Directors for four years serving in roles including chair of the marketing committee, vice-president and president. Additionally, he has extensive nonprofit experience from serving on multiple boards and commissions and operating a nonprofit consulting business working with numerous local and national organization. He was recently named to the 2018-19 Leadership Nashville class.